At ISAE-ENSMA, research is a tradition. It rests on 2 laboratories which have forged a 3-way partnership with the University of Poitiers and CNRS. The close relationship between teaching, research and industry means that students benefit from state-of-the-art training that introduces them to the latest advances in mechanical engineering and energetics. The “Pôle mondial AESE Midi-Pyrénées/ Aquitaine”, the leading French centre of excellence dedicated to aeronautics, aerospace and embedded systems, which is backed by an industry of some 94,000 staff, which forms a community of 8,500 researchers to which the 4,000 students engineers at the French graduate aeronautical schools must be added. ISAE-ENSMA, together with its partners in GEA, the Grandes Ecoles Aéronautiques, is a founding member of Aerospace Valley, the council which manages the pole of competitiveness. Mov’Eo, the pole with global vocation, focuses on four strategic application fields on safe cars and public transports and the surrounding environment : energy and environment, mechatronics, road safety, mobility and services. ISAE-ENSMA is a member of several national research networks. 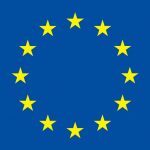 It takes part in a series of programs at Pan-European and international levels. It is a partner of a number of bodies and institutions at regional level. Since 1996, the University of Poitiers, the CNRS from Poitou-Charentes Region, as well as ISAE-ENSMA from Futuroscope, have decided to merge their competencies to develop research by creating through an agreement, a Technology Transfer Office, a single service, common for the three institutions. Since July 1st, 2013 the Partnership and Technology Transfer Office is composed by 7 employees of the 3 organizations: one Director (from the University of Poitiers), one Deputy (from CNRS), one Assistant (from ISAE-ENSMA) and 4 Chargés d’Affaires (2 from CNRS, 1 from the University of Poitiers and 1 from ISAE-ENSMA). For the CNRS, the Partnership and Technology Transfer Office is the office of the Orleans Regional Delagation for the Poitou-Charentes Region and since January 1st, 2013 for the Limousin Region. As such, the Partnership and Technology Transfer Office interacts with the European Contracts Office (CCE) from the Regional Delegation in charge of European research projects monitoring. 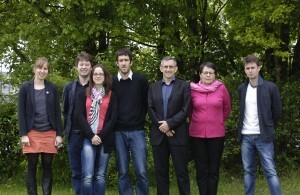 Besides the whole research laboratories of the University of Poitiers and ISAE-ENSMA (laboratories associated to the CNRS, INSERM, Integration teams, Emerging teams), the Partnership and Technology Trasfer Office also deals with the joint research units from CNRS Chizé, La Rochelle and Limoges. Located on the campus of the University of Poitiers (office B26) since 2010, the Partnership and Technology Transfer Office also has an office (E11) since April 2014 in the ESPRITT platform (located at ISAE-ENSMA) in order to welcome researchers on the Futuroscope site (appointment upon request).